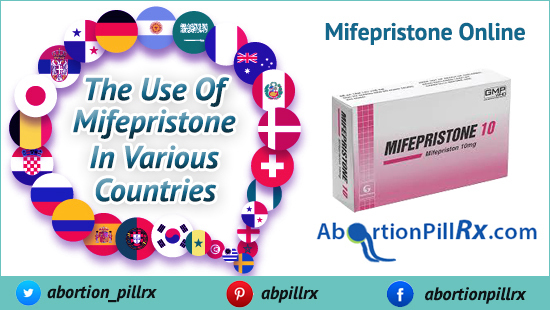 The Use of Mifepristone pill in Various Countries. The Use of Mifepristone in Various Countries. The abortion pill was introduced to the market in 1988 and it became one of the revolutionary inventions in the women healthcare products. Mifepristone, one of the important contributors in the abortion drug duo was introduced nearly a decade ago. It was then approved by the FDA, America for using Mifepristone pill for an early pregnancy termination. Approval of the abortion pills by different countries had not been there, however, lately, the regions have begun understanding the importance of medical abortion and loosen up the regulations put on the medical abortion. While some areas do allow abortion pill for women, however, many regions in the country lack the needed medication especially locally. That’s when the role of online pharmacies emerged and today quite a few pharmacies sell Mifepristone online to along with the other medicines to end the unintended pregnancy. After the law of veil, 1975 was introduced in France, the country made it legal for women to end their pregnancy up to 12-weeks gestation. The nation also allowed surgical procedures if the medical professionals or physicians conclude health risks to the mother or baby. In France, women prefer to buy abortion pills to end their pregnancy while Mifepristone and Misoprostol being the widely used medicines in the country. In 1996, 18% of women who aborted that year chose a medical method to end the pregnancy while the percentage reached 44% in 2004. The percentage is growing ever since abortion care awareness has risen among women. As per the healthcare regulations in Germany, women can legally abort a pregnancy in the first trimester. 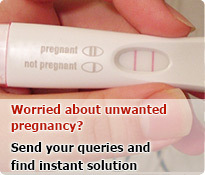 A pregnancy aborted in in the later weeks is considered only in the extreme or serious cases. Apart from Mifepristone pill, women are also provided with the option of Generic RU 486 which is also an antiprogesterone pill. Recent research held in Germany suggest that the abortion rate in the country has risen with 6 women being performing abortion per 1000 women in Germany. Almost every state in the US allows women to abort their early unwanted pregnancy. The necessity of abortion is realized in most areas and hence the availability of abortion pills such as Mifepristone and Misoprostol is more in the US than in other nations. The use of abortion pills increased after the FDA approving the pills for performing a medical abortion. In some of the regions in the US, the women were educated about the entire abortion process and how a woman must administer the pills in the need. Several other UK countries and European countries such as Spain, Russia, Scandinavia, Germany, etc have reportedly allowed abortion in certain cases. The revolution in the many parts of the world and it will soon transform the way people look at unwanted or unintended pregnancy and abortion as the best possible solution for it. The different emerging online pharmacies have also been witnessing a rise in the use of medical abortion in the areas where it had become taboo once. This entry was posted in Abortion Pills and tagged Abortion pill, Mifeprex, Mifepristone, Mifepristone online, Misoprostol on August 31, 2018 by admin.